Bring me the head of Paul McCartney! Sir Paul McCartney has finally lost his head. Well, someone's lost it for him, anyway. 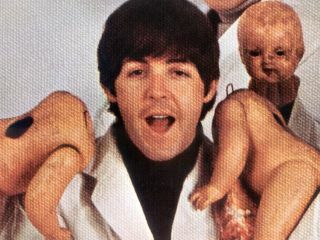 A waxwork version of the former Beatle was listed to sell at auction on Sunday, but the head has been left on a train. Auctioneer Joby Carter had carefully stored the head in a bag under a seat, but alighted at Maidenhead station (UK) without it. The service terminated at Reading, but the head was nowhere to be seen. The whole waxwork is expected to fetch between £5000 - £10000 so, quite understandably, Mr Carter is offering a £2000 reward for the head's safe return.